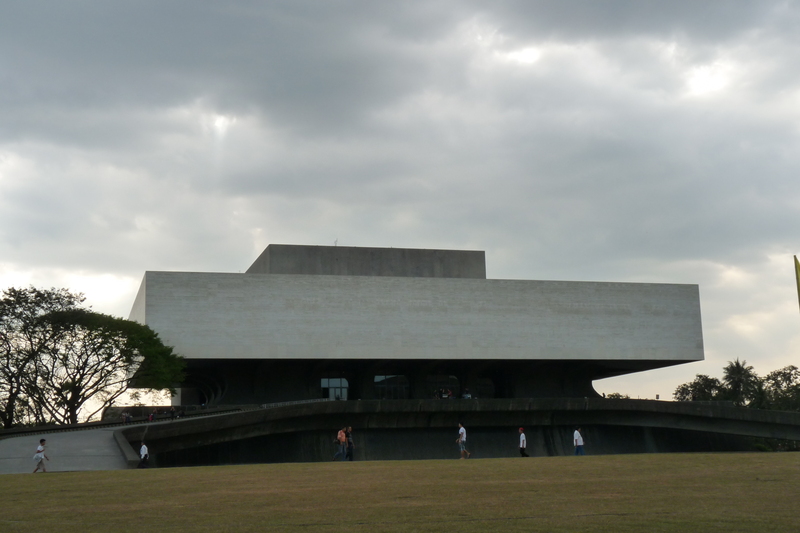 On the occasion of the National Arts Month, I thought it would be fitting to close out this month with a little tribute to our country’s arts and cultural center: a landmark aptly titled the Cultural Center of the Philippines or the CCP. 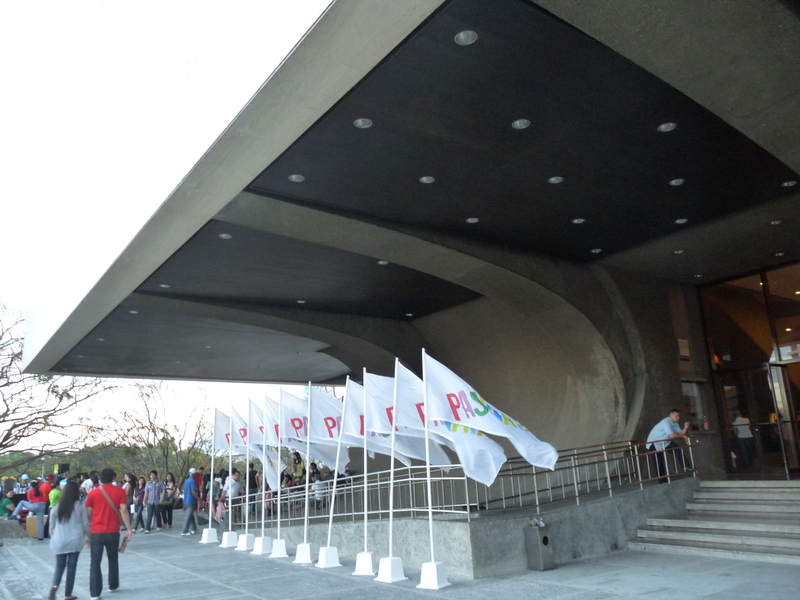 Technically, the Cultural Center of the Philippines (in Filipino, Sentrong Pangkultura ng Pilipinas) or CCP refers to the body created in 1966 by virtue of Executive Order 30 as a “trust for..the Filipino people for…preserving and promoting Philippine culture.” But for many people, it will always be identified with its iconic building known formally as the Tanghalang Pambansa (known more as the CCP Main Building or the Theater for Performing Arts) along Roxas Boulevard which was completed 3 years later, on September 8, 1969. 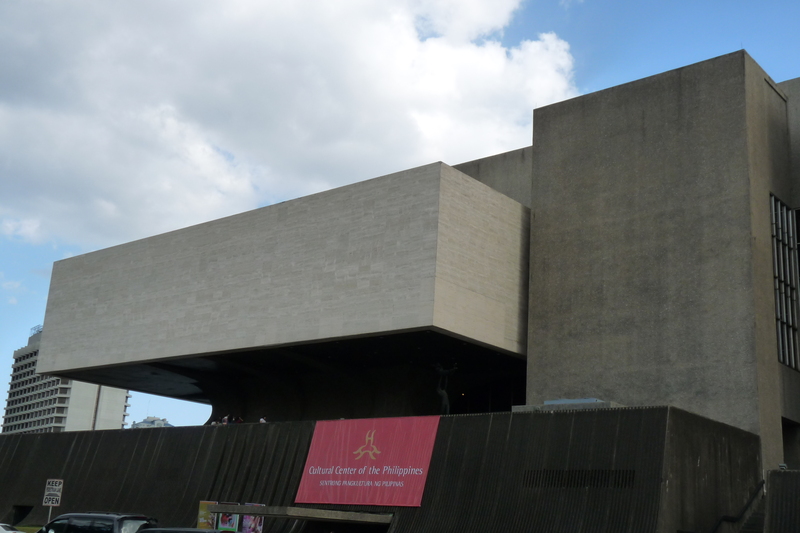 It was a milestone for the brains behind the building of this edifice, then First Lady Imelda Marcos, who was able to realize her dream of a larger, grander venue for the Philippine arts that can meet the needs its predecessors the Manila Metropolitan Theater and the FEU Theater have failed to address. 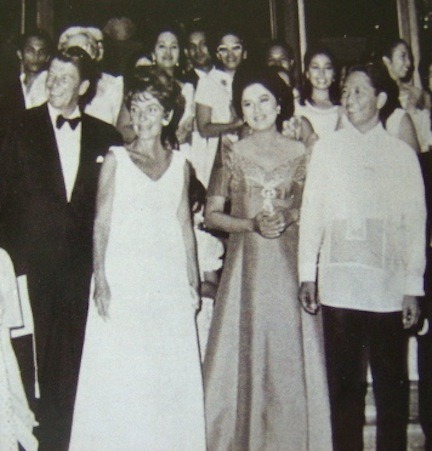 With the praise the newly-inaugurated CCP building was getting internationally, it was an encouragement of sorts for Imelda to continue realizing her dream of a “beautiful Philippines” through her innate “edifice complex,” as some call it. 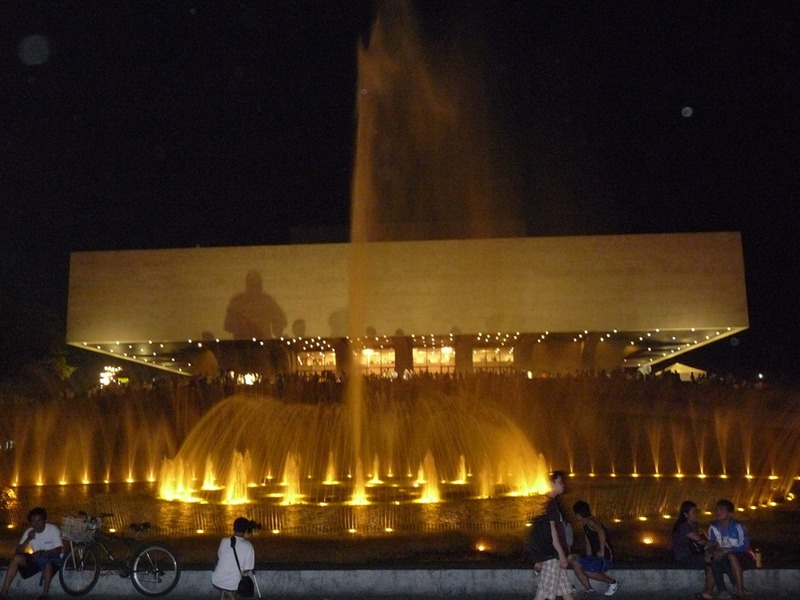 Moreover, it is also the landmark project and the most well-known work of its architect, National Artist Leandro Locsin. 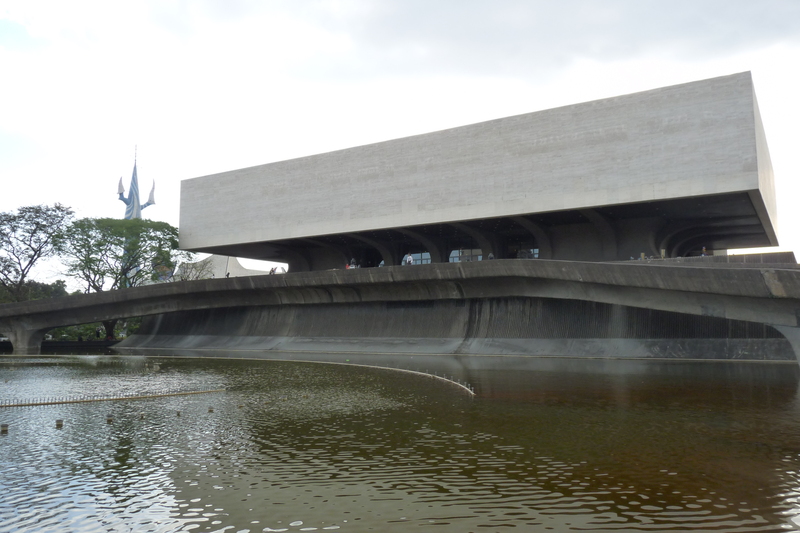 Arguably, this modernist masterpiece of space and geometry is the one that put Locsin on the map, so to speak. It’s not difficult to see why, even at first glance. If you enter the main entrance along the elevated driveway, you get to pass by the main fountain and a lagoon, in effect giving the impression of the structure somehow “floating in water,” in a way perhaps giving tribute to the fact that the land the CCP is standing on is reclaimed land. 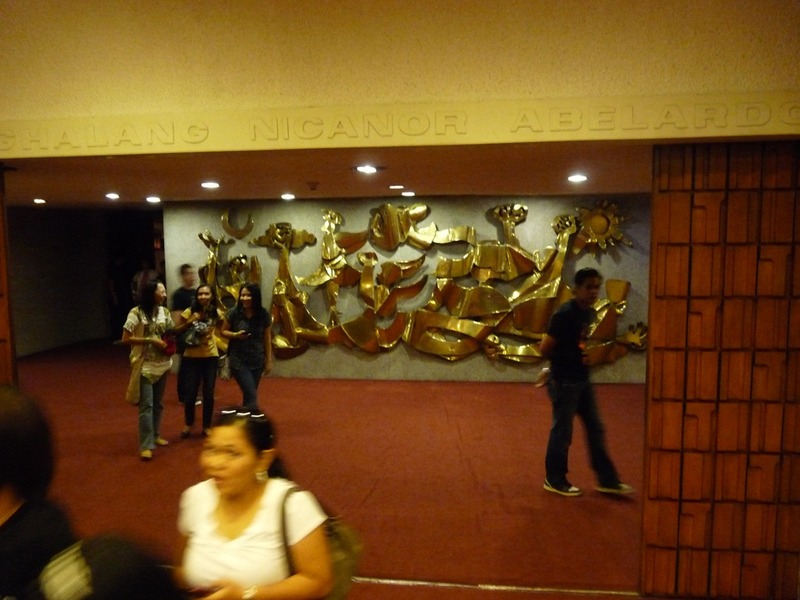 The main entrance leads to the lobby of CCP’s “flagship” venue: the Tanghalang Nicanor Abelardo (Nicanor Abelardo Theater/Main Theater) named after the famed composer of kundimans and hymns. The lobby itself is a work of grand design by itself, with chandeliers, carpeted staircases that are elegantly curved, murals and other artwork installed. And yes, there are escalators too! 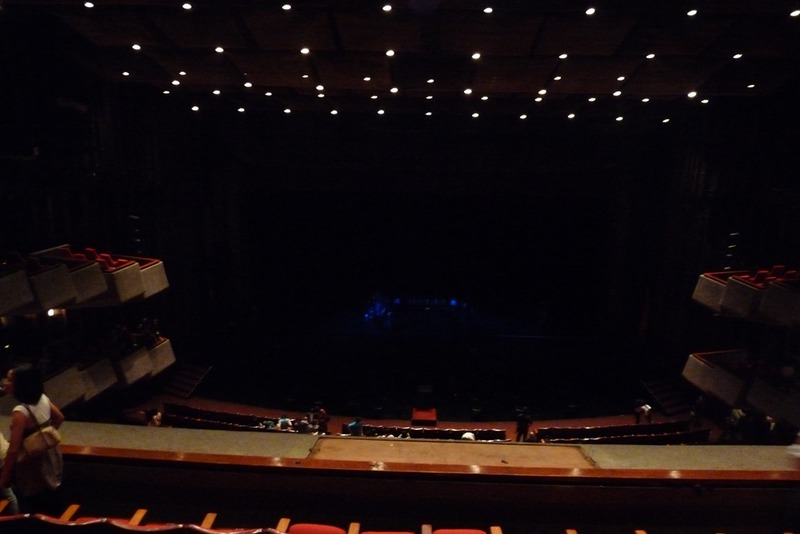 Tanghalang Abelardo itself is a massive multi-level theater which has 2 balconies and boxed-level seats and can accommodate up to 1,823 people. Specifically catered to hold grand productions like operas, conciertos, etc. 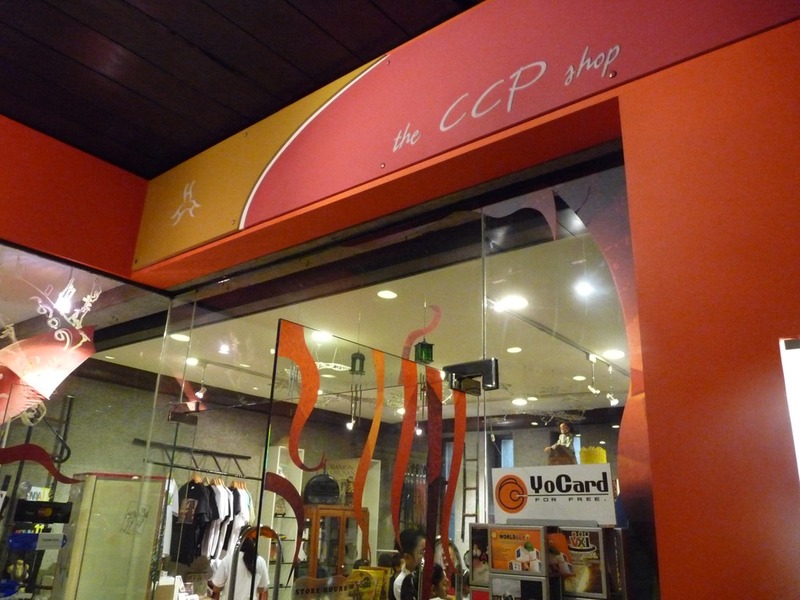 While Tanghalang Abelardo is the performing venue most associated with the CCP, the Center actually has a number of other venues one can see, not just the ones dedicated to performing arts. For one, there is the “little brother” the Tanghalang Aurelio Tolentino (Aurelio Tolentino Theater/Little Theater) named after a famed playwright from the turn of the 20th century. 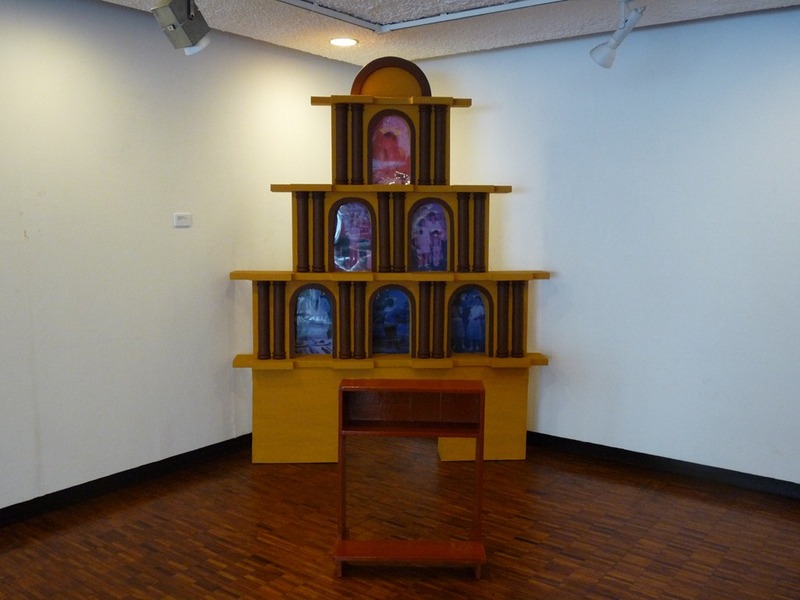 Located on the upper basement, (below the main entrance) this venue is used for smaller-scale performances like plays, recitals, or film showings, that can accommodate up to 421 guests. 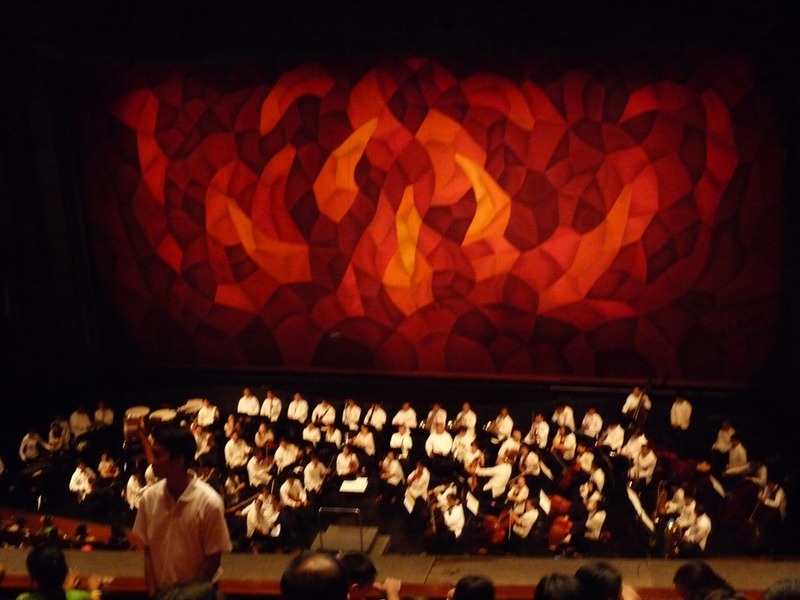 Northwest of the Tanghalang Tolentino is another performance venue called the Tanghalang Huseng Batute (Huseng Batute Theater/Studio Theater) named after the pseudonym of Filipino poet and dubbed “Hari ng Balagtasan” Jose Corazon De Jesus. 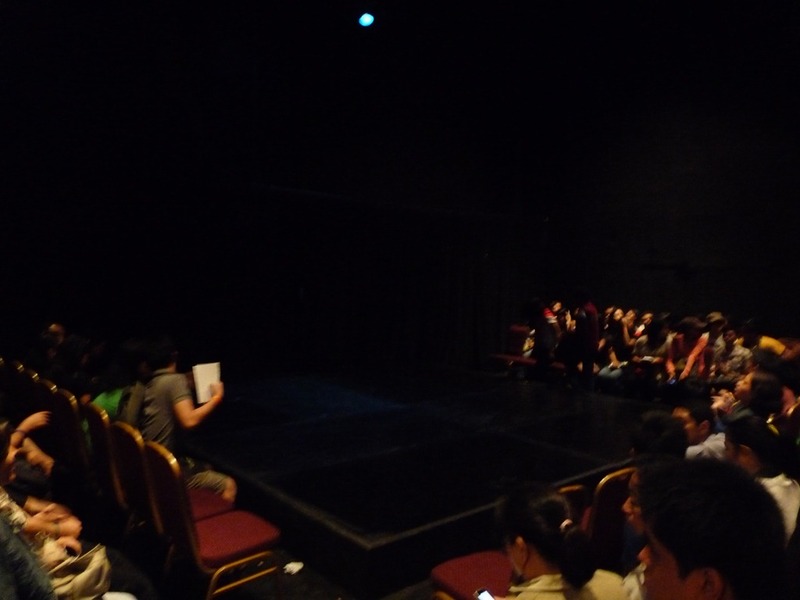 This 250-seater venue is suited for more intimate and experimental productions, thus explaining the “rawness” of the venue. 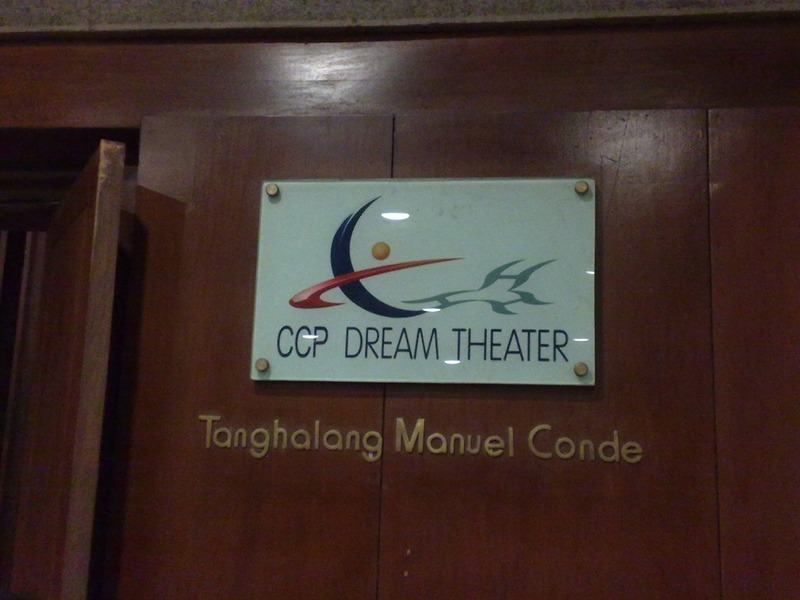 On the northeast side is another “intimate” venue, this one more dedicated for film performances: the Tanghalang Manuel Conde (Manuel Conde Theater/Dream Theater) named after the famed Filipino actor-director of Genghis Khan and the Juan Tamad films. 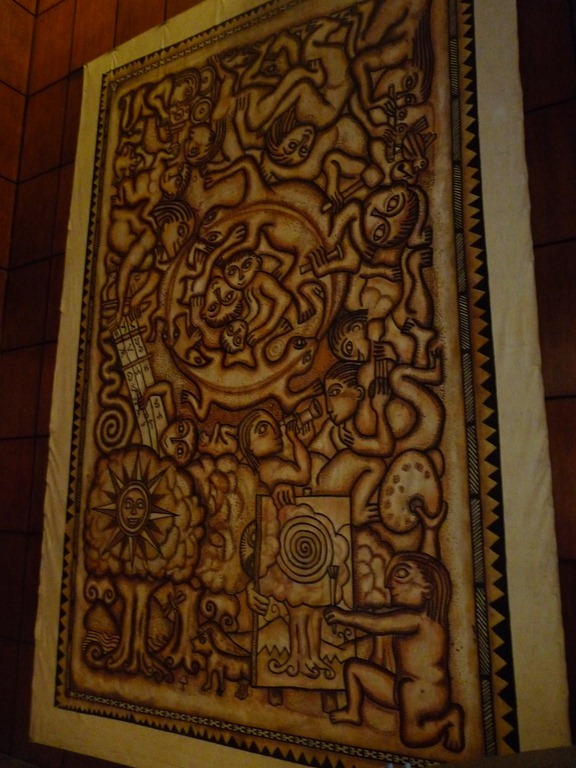 The spacious area itself around Tanghalang Conde and Tolentino is a gallery/lobby called the Bulwagang Carlos Francisco, (Carlos Francisco Hall) named after the famed Filipino painter of murals. You can also find a small gift shop there as well. 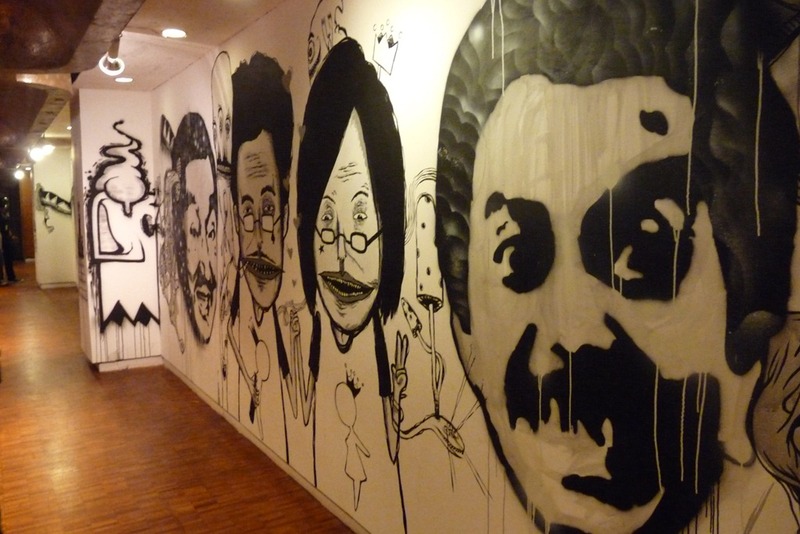 Also on the upper basement, on the other end of the building is the Bulwagang Amado Hernandez. (Amado Hernandez Hall) Named after a Filipino nationalist writer, it actually serves primarily as a conference room but serves as another performance venue, not to mention a venue for workshops as well. 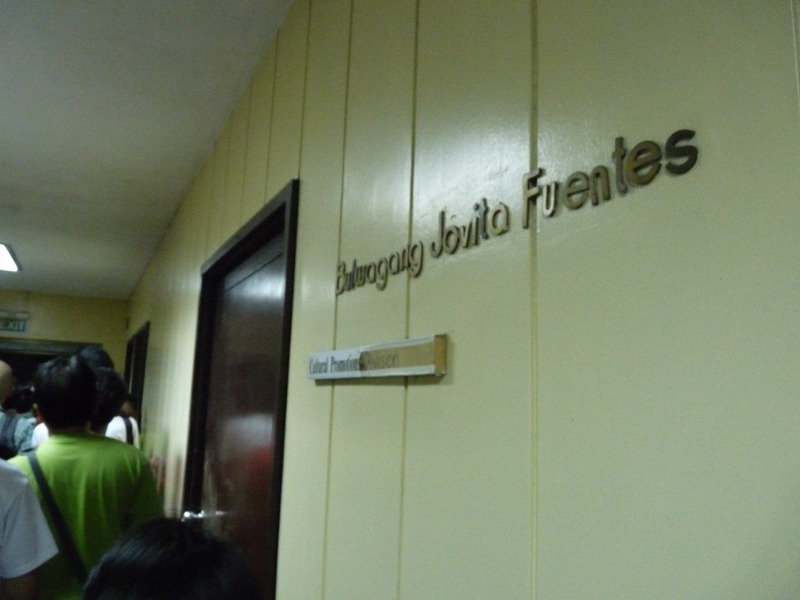 Also nearby is another conference venue called the Bulwagang Jovita Fuentes (Jovita Fuentes Hall) named after the first Filipina soprano. 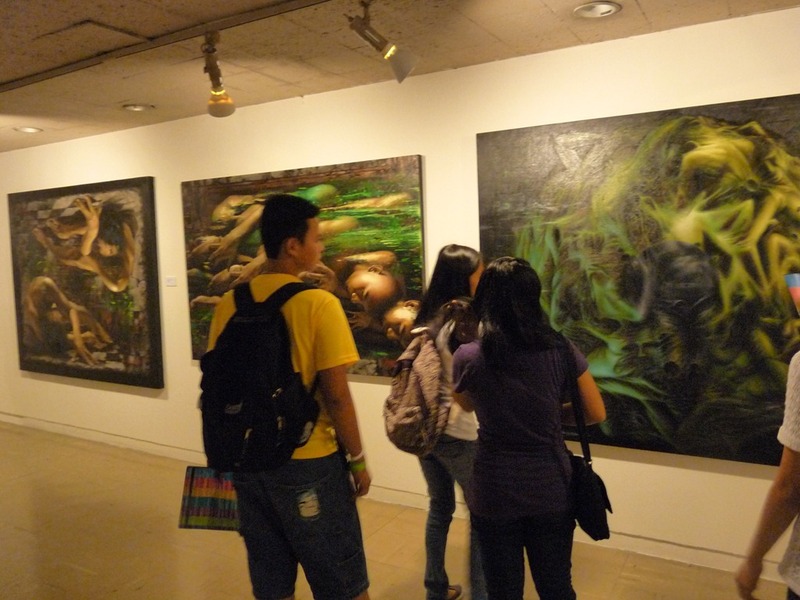 The upper levels of the CCP building are a showcase of Philippine visual arts, the primary venues being the Bulwagang Juan Luna (Juan Luna Hall/Main Gallery) at the 3rd level, named after the famed 19th century Filipino painter and Reformista (along with Jose Rizal among others) and the Bulwagang Fernando Amorsolo (Fernando Amorsolo Hall/Small Gallery) at the 4th level, named after the famed 20th century Filipino painter. 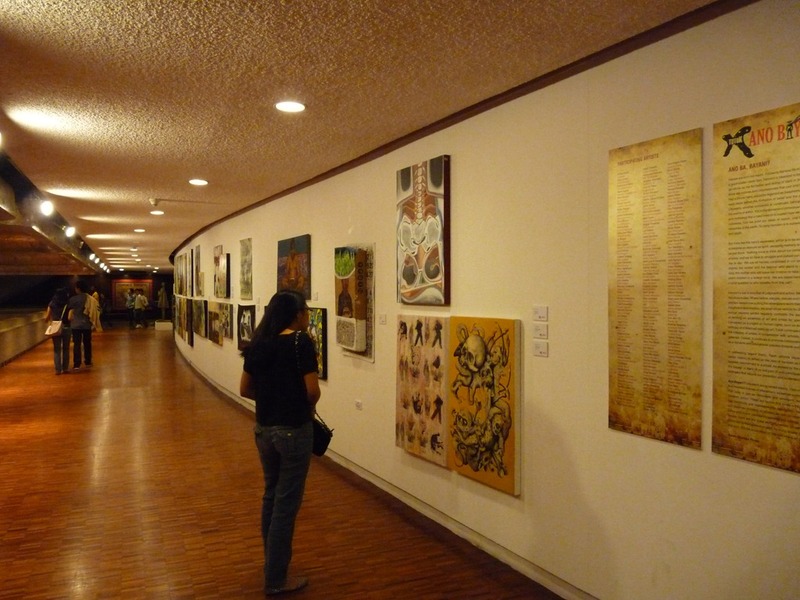 Apart from those galleries, some corridors of the building have been dedicated to showcase showcase visual art as well such as the Pasilyo Victorio Edades (named after the dubbed Father of Philippine Modern Art) at the 4th floor, Pasilyo Vicente Manansala, (named after the Filipino painter/sculptor) at the 3rd level and the Pasilyo Guillermo Tolentino at the 2nd level, named after the famed Filipino sculptor of the Andres Bonifacio “Monumento” and the UP Oblation, among others. 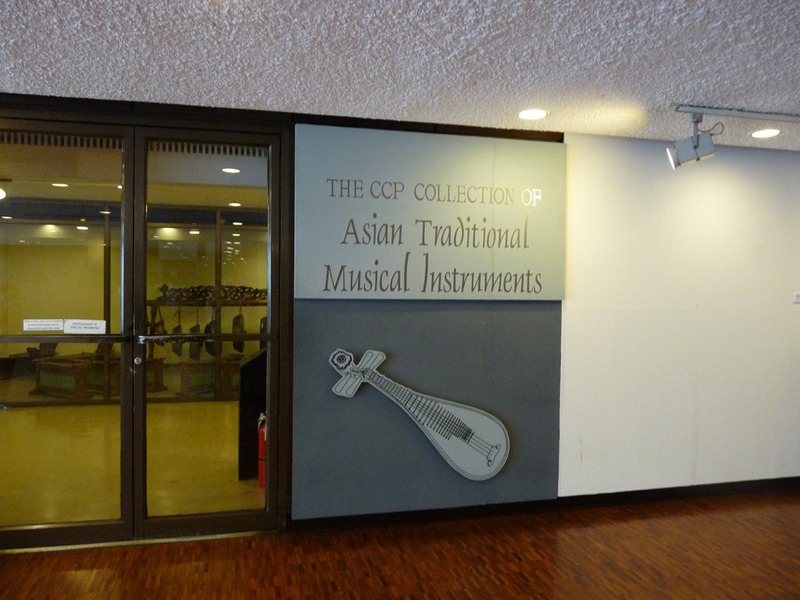 Aside from being a venue for performing arts, the CCP has its own museum and library, dedicated to the preservation and promotion of our nation’s culture and the arts being a “cultural center.” The CCP Library, for instance, holds an extensive collection of audio-visual performances related to Philippine arts and culture. 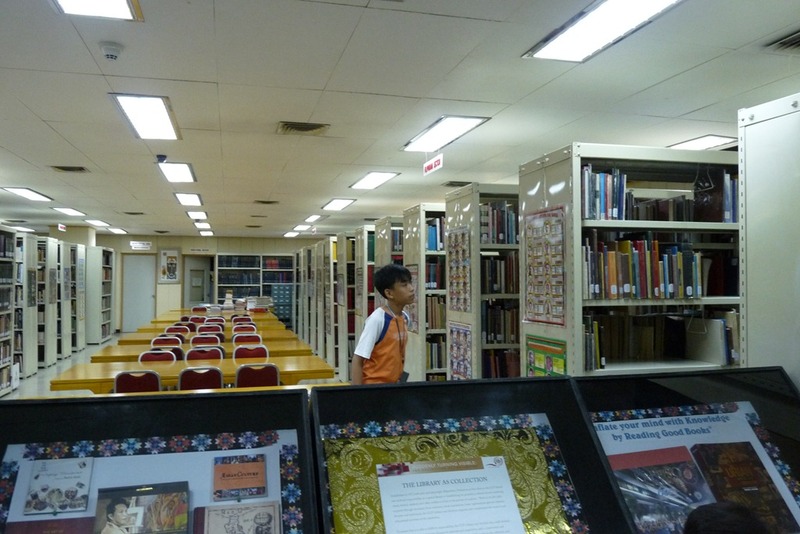 Then, there’s the Museo ng Kalinangang Pilipino (Museum of Filipino Culture/CCP Museum) which showcases Filipino artistic traditions, even those from neighboring Southeast Asian countries. 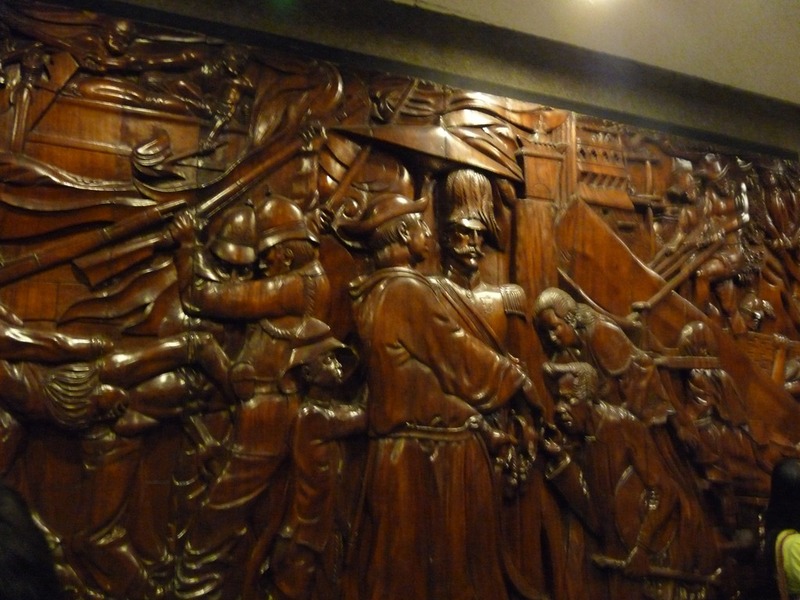 In a country that has a rich yet underappreciated tradition of culture and arts, the Philippines is fortunate to have a cultural center that preserves this tradition in spite of the odds. 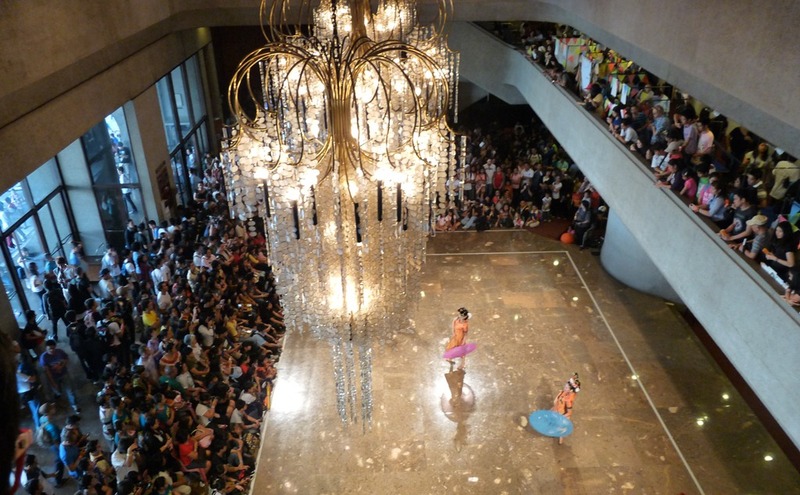 It is even more fortunate to have this cultural center be housed in a venue which is not only a renowned landmark but also a “living” testament to the greatness of Filipino artistry that the Cultural Center of the Philippines espouses. May the CCP continue to flourish in strength and grace as its building with its timelessness and beauty that never ceases to astound. 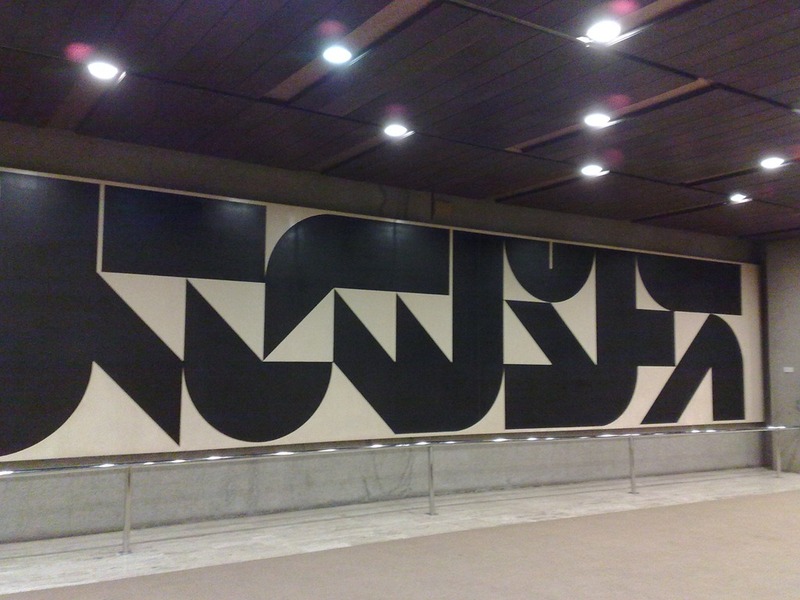 Acknowledgements to the CCP website, Wikipedia and DesignKultur blog.